Earth is lost to us, but even in the aftermath of this terrible tragedy, we grow, evolve and even prosper. We have witnessed the death of our mother and the birth of a new era. In what might have been the end, the synthesis of biology and technology proved our salvation. Augmentation, ranging from basic genetic manipulation to Apotheosis, set us on the path of prosperity. But it also emphasized the importance of identity, individual humanity, and the purity of the species. The loss of Earth and the resulting Exodus gave us a oportunity to start over with a clean slate. And we seized it. Though the need for organization, stability and a reliable government was clear, the old ways were seen by most as archaic, clumsy and too prone to corruption. 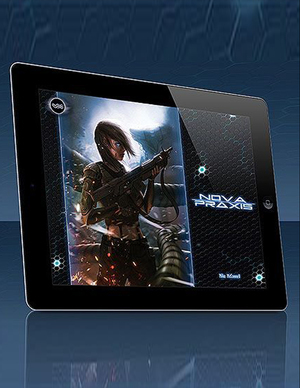 It was time for a new way… a Nova Praxis. Today, social networks allow the will of the people to be measured instantly, accurately and without the need for representation. The Coalition, guided by the collective voice of its people, has established new homes on worlds lit by new suns. Molecular assembly technology has made it possible for society to provide a quality of life never before imagined, at essentially no cost, to everyone. And we are virtually immortal. But can this would-be Utopia last? And the value of a human soul is weighed and measured in lines of code. 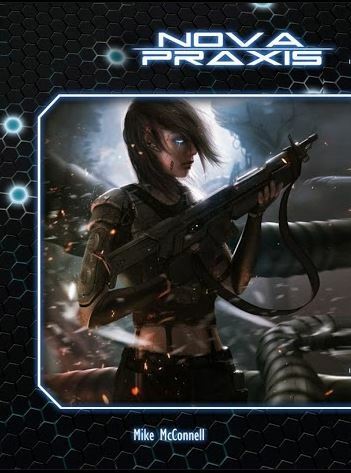 Nova Praxis is a post-singularity sci-fi setting that explores transhumanism and post-scarcity societies against a backdrop of action, adventure, conspiracy and intrigue. 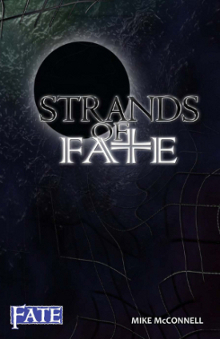 …a FATE game, utilizing an evolution of the Strands of Fate system designed specifically to support the setting. …self-contained. 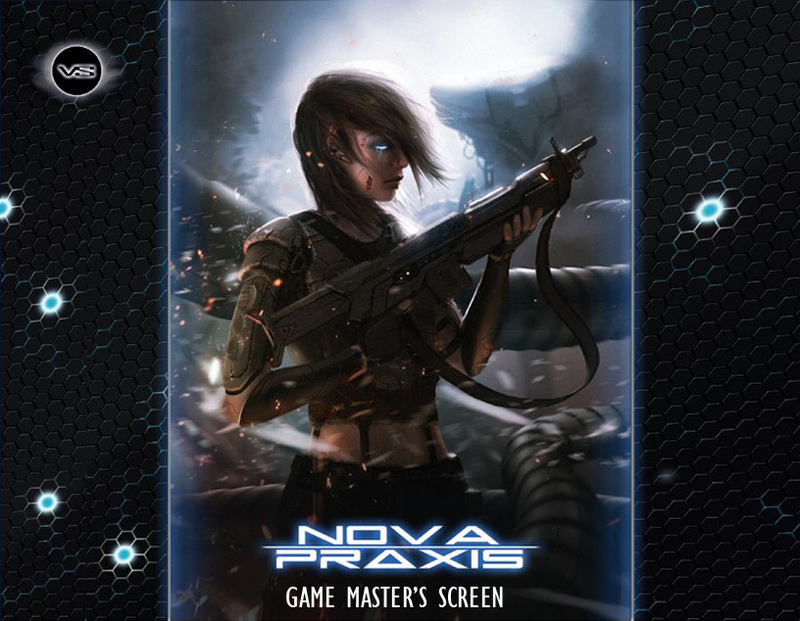 You do not need Strands of Fate or any other FATE game to play Nova Praxis. …a relatively "hard sci-fi" setting that takes place in the aftermath of a short lived technological singularity. 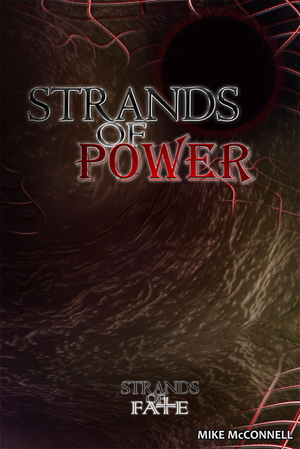 …an exploration of the tropes of transhuman sci-fi. Mind uploading, resleeving, AI characters, and body augmentation. …an exploration of the societal impact of a reputation based post-scarcity economy. …a game in which players play characters who are members of a crew. These crews know how to slip between the cracks of civilization, and perform the jobs their employers would rather keep off the books. ...home to gauss rifles, powered armor, star ships, security drones, bipedal mechs, swarms of nanomachines, kill-sats, and the horrors of accelerated evolution gone wrong. 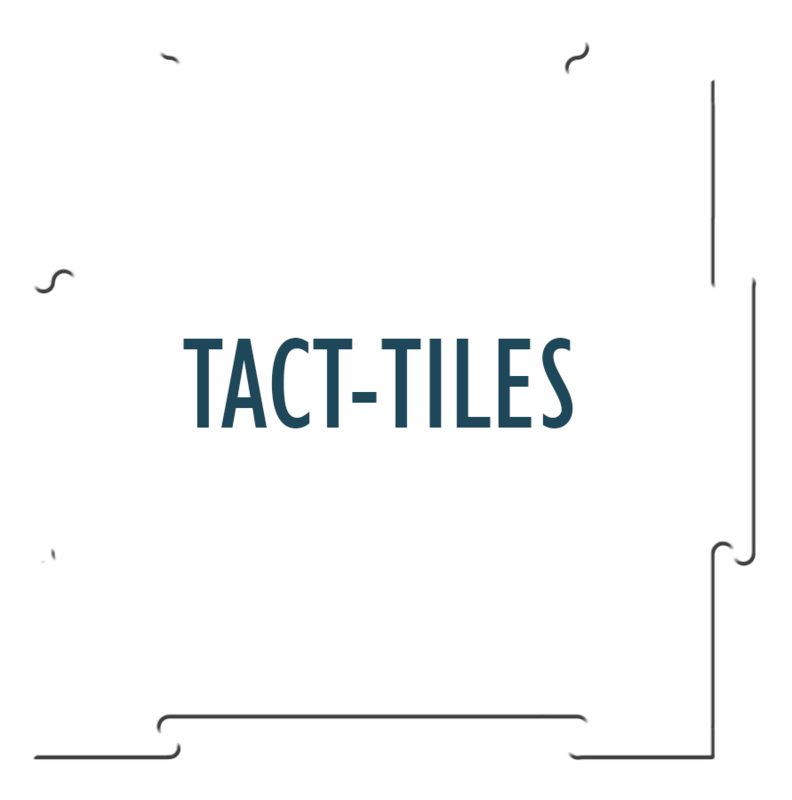 …entering beta testing in the near future. Be sure to keep your eyes on the Void Star site for details.